Regarding this year’s election, 538’s Perry Bacon asks What Happens If Republicans Keep Control Of The House And Senate? Imagine this scenario: In November’s elections for the U.S. House, Democrats win the national House vote by a few percentage points and gain nearly 20 additional House seats,1 by both winning open seats and defeating some longtime GOP incumbents. In the Senate, Democrats pick up Nevada; win races in states President Trump carried in 2016, including in Arizona, Florida, Michigan, Ohio, Pennsylvania, Wisconsin and West Virginia; and only narrowly lose in the GOP strongholds of Indiana, Missouri and Tennessee. That sounds like a pretty good night for Democrats. But it wouldn’t be. That scenario would leave Republicans with a majority of, say, 222–213 in the House and a 51–49 advantage in the Senate. Don’t get me wrong — I share the view of other analysts that Democrats are favorites to win the House this fall, and that an accompanying Democratic win in the Senate is somewhat less likely. But based on the data we have now, the scenario above is certainly possible — just as possible as, say, Trump being elected president and Republicans winning both houses of Congress on Nov. 8, 2016. That potential outcome didn’t get enough coverage in the run-up to the 2016 election. So let’s avoid repeating that mistake in 2018. How would the political world react if Republicans maintained control of Congress in November? I can’t say for sure, but here are four likely responses. Bacon also tells us When Trump Should Start Worrying About A 2020 Primary Challenger. My take-away is that he most likely has no cause for worry. A solid majority of Republicans still like Trump ins spite of having to defend his personal scandals, reckless mouth-offs, persistent attacks on our government and institutions, and slithering toward an autocracy. But read on. Snippets follow. 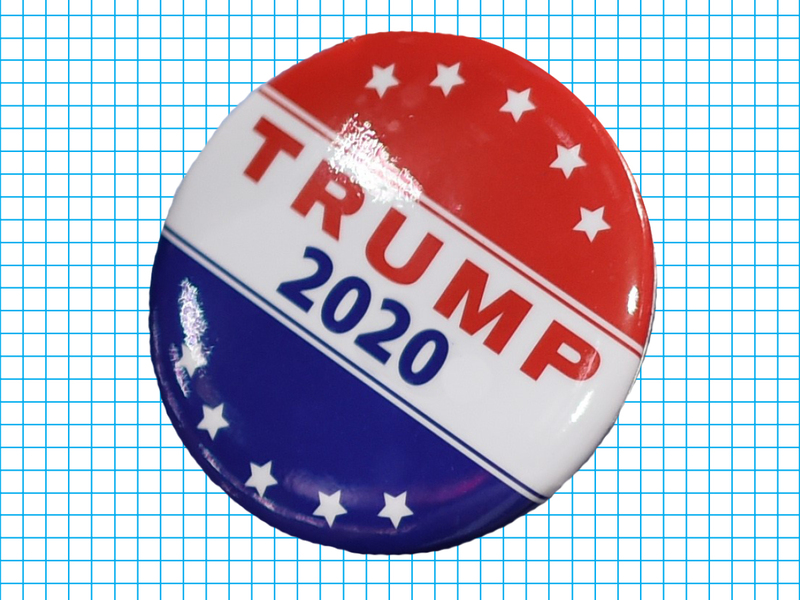 Thirty-eight percent of Republicans believe President Trump should face a GOP primary challenger in the 2020 election, according to a Morning Consult/Politico poll released this week. Fifty percent said he should not; the other 12 percent did not express an opinion. Other polls have also shown that a significant bloc of Republicans would like to see someone challenge Trump. But it’s hard to know what to make of that 38 percent number. We found a few polls that asked somewhat similar questions about past presidents,1 and there’s a bit more intraparty opposition to Trump than some others, but not much. … Trump should be hoping he is not challenged in a primary. But will it happen anyway? Is Trump so weak that of course another Republican should challenge him? I’m not sure. … about a third of Democrats wanted someone to challenge Bill Clinton according to a CNN poll conducted in late 1994, but no one ever did, and Clinton cruised to re-election.4 In a March 2010 CNN poll, 20 percent of Democrats wanted a candidate other than Barack Obama. He too never received a serious primary challenge and won re-election. Trump’s standing in the party now: When congressional Republicans defend controversial things Trump does or says, political analysts (myself included) often explain the logic behind the officials’ actions by noting that Trump has rock-solid support among self-identified Republican voters, close to 90 percent in some surveys. Many congressional Republicans, particularly those who are seeking re-election, have every incentive not to criticize the president, at least according to his raw approval ratings in the party. I’m always wary of emphasizing the GOP opposition to Trump, since it had much more bark than bite in 2016 (Trump won the overwhelming majority of Republican voters despite the media attention given to the “Never Trump” bloc in the party). Even this data suggests that Trump is the heavy, heavy favorite to be the GOP nominee. But we should be watching carefully to see if Trump draws a Republican opponent next year — it’s the telltale sign of a weak incumbent president. If Dems do not take the House in 2018, the country will go from bad to worse. And if Trump wins in 2020, the country will go from worse to much worse.